Kenya dam bursts, killing at least 41 and sweeping away houses in ‘sea of water’ | The Washington Post Photos circulating on social media show people wading through muddy water, some carrying bodies retrieved in the aftermath of the disaster. A loud bang was the first sign that something was about to go wrong in Kenya’s Nakuru County on Wednesday night. Then came massive waves of water, which crashed through farmland, swept away hundreds of houses and killed at least 41 people. Almost half of the victims were children, police said. The Patel dam, located on private farmland in western Kenya, had burst its banks after weeks of heavy rain. 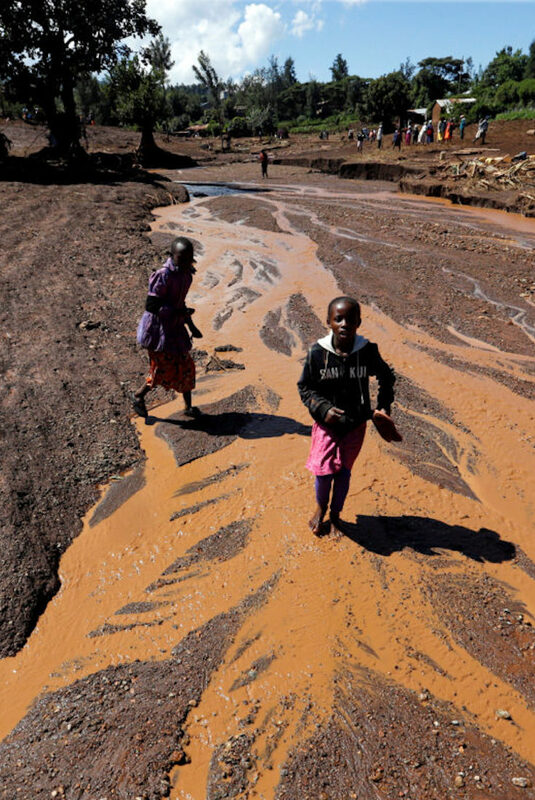 The rain has pounded East Africa for over a month, killing more than 100 people in Kenya and displacing 260,000. Rwanda and Ethiopia also have been affected by flooding, and about 100,000 people have been displaced in Somalia.